Yet another complaint has been filed by Russia’s Penitentiary Service against opposition leader Aleksey Navalny, who removed an electronic monitoring tag after his sentence was announced. But the court in Moscow has again chosen to shrug it off. The court says they are not in a position to review such complaints after the sentence was announced. “The court received a notification about Navalny breaking the terms of his house arrest and it was sent back to the service. The criminal procedure code does not review a case once a sentence has been handed down,” the court’s press secretary, Yulia Petrova, told RIA Novosti. 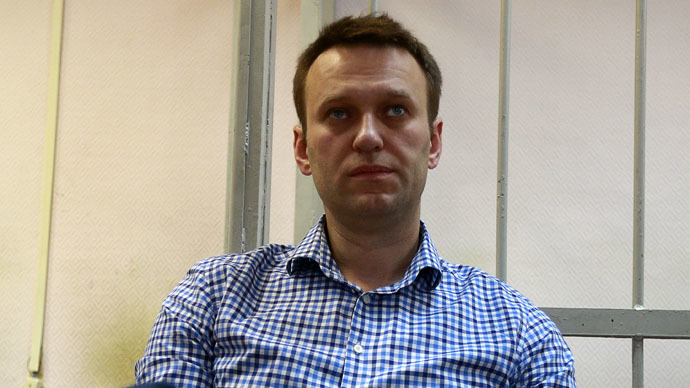 Navalny provoked the Penitentiary Service’s ire when he removed his electronic monitoring tag from his leg on Monday, after saying he would no longer comply with the terms of his house arrest. Writing on his blog, he said: “The bracelet with some effort has been cut off with kitchen scissors." He added that he is perhaps the only person in Russian legal history to be kept under house arrest after being sentenced. He has also complained that he has not been given a written copy of his sentence so that he can launch an appeal. The 38 year-old was given a three and a half year suspended sentence on December 30, 2014 after facing charges of embezzling 30 million rubles (US$480,000) from two firms, including French cosmetics company Yves Rocher. His brother Oleg, who was also charged, was sentenced to three and a half years in prison. Later in the day, Aleksey Navalny left his house to join a rally in Moscow which attracted 1,500 people in support of him, according to police estimates. He was detained by police shortly after leaving the subway, and taken back home. The Federal Penitentiary Service once again sent a notification to the court, which refused to look into it.